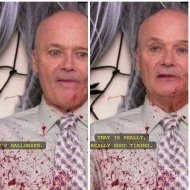 Creed Bratton had the most liked content! I agree with you about KD's fountain....the berm really doesn't make a pretty entrance..let me see the fountain please! I felt like KD's fountains just kinda were there...nothing great...the last time I watched them, it didn't seem that they did much. I mentioned to @pianoman this past weekend, it was nice to be able to actually hear the water splatter throughout the fountains....it didn't just seem like a rush and water falling off the side of the pedestal bowls. I have mentioned in private to a few folks about my surprise that the flag poles were still located at the front of the fountain...I can understand why (it's not really all that easy when you get down to it, to move them)....but I could find a better place for them if they decided to relocate them in the future. What Else Do You Want To Come Back? Okay, I'm not going to lie...that would be awesome...I mean sharks too! Your items will get to you before that Thursday. I would imagine they will start sending the items out at the beginning of the month. Even with it being renovated in 2011? I honestly didn't realize that...when I was on top of the Eiffel Tower I just noticed that they kinda flowed from one color to the next...I'll have to look again to see it. I'd rather not...too busy thinking about that Vekoma Mad House coming. Let's be real here...we have had people claim that this type of ride is coming or that type of ride is coming....people who have been kicked off of KIC for trespassing into the park.......etc. We have had people complaining over the past few years about how the park should have done this or that differently.....once prominent members no longer visit due to the attitude and general feel of the forums being negative and nothing but drama....etc. How do you know it's been an active thing? Is it really trash talking when it's pretty much true? Are most KIC members truly loyal? Maybe this a call for get your s**t together KIC and change the feel of the forums (not on the admin/mods account because they are doing all they can to help that) are, if you ever want to be included on anything again (remember we used to have off season events, meetups with the park during the season, etc. )...and want to be prominent again. I believe it's the same signage. Source The paint may have been touched up. Here's the thing, the park didn't have to do anything...they could have kept I-Street the way it was...the fountains could have remained the same...never changing, but I seem to remember back in 2013/4 when Matt Ouimet said that the Kings Parks would all be receiving an upgrade, most were disappointed when it didn't come as soon as they thought it was. Everyone seemed to be talking about how they wanted I-Street to be more international...they finally listened to that as well as the upgrades to the fountain. They don't make any additional monies on these upgrades...but thinking of it from the park perspective...with the people being extremely vocal about how they dislike it, are they going to think it was worth listening to what people wanted? Will they continue to do so from here on out? I don't know why the pedestals were removed...but they apparently were removed for a reason or two...but come on...it's a fountain. And this is why the park calls KIC the Kings Island Complainers. Those little perks we used to get, guess what they are likely no more. I found them in Emporium at the registers.